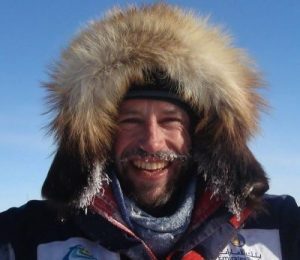 We are proud to announce that British Record-Breaking Adventurer, Author and Sustainability Ambassador, Adrian Hayes, has become our latest patron. Adrian is a British record-breaking adventurer, author, keynote speaker, business coach, documentary presenter and sustainability campaigner. An Arabic and Nepalese speaking former British Army Gurkha Officer, who also spent two years in the Special Forces, he has conquered Everest, K2, the North and South Poles, the length of Greenland by kite-ski and the Arabian Desert by camel amidst a lifetime of adventure, setting two Guinness World Records, writing two books, and featuring in three documentaries to date. He is now an internationally acclaimed keynote / motivational speaker and professional leadership, team, and executive coach & consultant, delivering speeches, seminars, and programs worldwide. His second book, One Man’s Climb: A Journey of Trauma, Tragedy and Triumph on K2, was launched in the UK in November 2018 and will be published worldwide from April 2019. In his campaign work, Adrian is an ambassador on economic, social & environmental sustainability, a patron of Population Matters and the founder of MIRA Himalaya – an ongoing project providing medical treatment and health & hygiene education in the remote areas of the Himalayas. He is also an adviser to the European Mars One project. “We are delighted that Adrian has agreed to support us as patron. His passion for sustainability and the environment closely aligns with our message that population growth is inextricably tied to environmental degradation in the fragile areas of Eastern Africa in which we work. Large families require more food, water and resources leaving little time for education and economic activity. The choices we take for granted are not always available in the wider world, our job is to provide that choice”.